1. 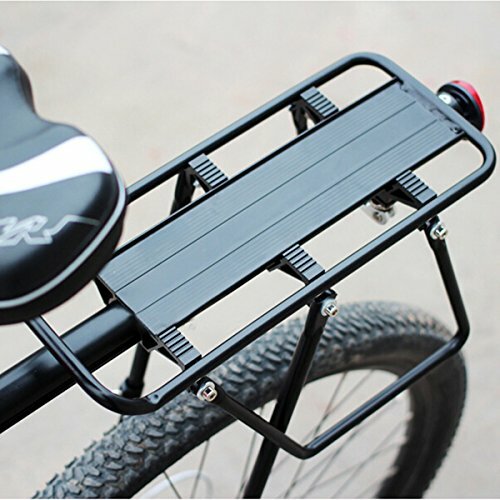 Suitable for 15'' to 20'' MTB mountain bike, also can be used in 26, 27.5, 29 cycling trails . 2. Lower fork can be adjusted. 3. Both sides have baffle, can carry your friends. 4. Material made from aluminum alloy, durable, light, good quality. are measured manually, and mistakes may exist, please understanding that, thank you!